Photography may know no limits when it comes to subjects. From the development of creatures including humans to nature and everything that surrounds them, they can be good subjects for photos. Even the littlest thing on earth may become a subject that’s interesting depending on how the photos are taken. Most of the time, it is how photos are taken that matters a lot as what we have been mentioning in our previous posts. Subjects are already given and they are supposed to be good ones. The duty of the photographer now is to capture the beauty beyond them. 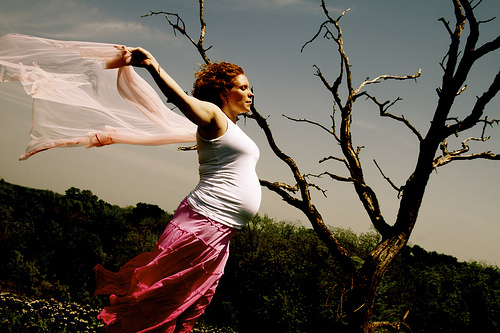 Maternity Photography simply centers into conceiving moms for their subjects. Well, you might say that there’s not much to look forward to with that but there’s just always so much more in someone that you’ll notice better in a photograph. Photos bring out the best in you especially if both the camera and the photographer is competitive enough. Cute babies come from conceiving moms and it’s about time we look at how beautiful they have been carrying their babies. Pregnant women may be grumpy but wait till you see these 30 Captivating Examples of Maternity Photography and be able to look through the beauty of a mother’s touch…. A Canon EOS 5D Mark II has been used to take this photo. Fashion and trend will also have to go along with the subject’s skin complexion and personality. This stunning photo has been taken using a Canon EOS 5D Mark II. A glimpse at a mom feeling a gift inside her. A well-conceptualized shot of an expecting mother. It’s indeed a big fulfillment once your subject sees your output and gave out a compliment. A sweet photo of a couple expecting their baby. A Canon EOS-1D Mark III was used to capture this photo. A very active expecting mom’s photo. The message behind this shoot is that frumpiness doesn’t have to be a part of being pregnant. A child’s sweetness, according to many is inherited because of the way the mom carried the baby in her womb. Another expression of love is capturing moments even when the baby is still in the womb of its mom. The happy pregnant mom on her 33rd week. It’s really an honor to be able to capture the moment of a mom about to have a baby. Getting pregnant doesn’t stop a mom from still looking gorgeous especially when there’s a good camera around. There’s always a reason to look dashing especially when one is pregnant. A Canon EOS Rebel T1i has been used to capture this moment. Six weeks more to go for Josie’s baby to come out in this photo. She sure looks so serene and dreamy which makes her appear more lovely. Not all women have the chance to conceive so it’s all right to flaunt that beauty even when you’re expecting a baby. 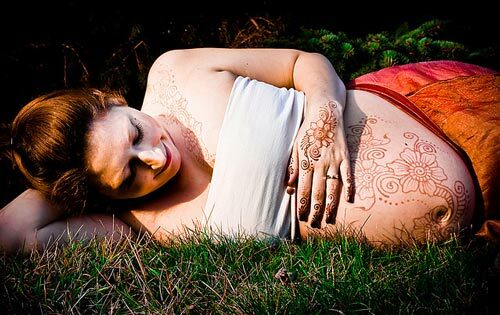 This is the photographer’s first yet cool attempt on Maternity Photography. The henna tattoo has been done by Henna V and the photographer is Elizabeth Dahl. A Nikon D200 has been used to capture the moment. An excellent photo of a mom about to give birth in two weeks. Maxi dresses are just so fascinating on a pregnant woman as dashing as Keyla. Nature gives enough relaxation to a pregnant mom and a joy for a photographer too. The beauty plus the pregnancy should go along together as specialized by the photographer behind this touching shot. With the perfect lighting using an SB-900 Nikon flash at the left side plus the sun on the other side, the photo has become a lot more expressive. A Nikon D90 captured this captivating mom’s moment. The photographer’s first photo session on maternity photography. There’s always beauty in everything. We just have to learn how to appreciate them as early as we can and even try out shooting for these possibilities. Time flies by so fast. Like conceiving moms, we never know the babies have already come out and grew up to become designers or photographers. Have you ever kept a photo of your pregnant mom? Or have you tried to take photos of one? Don’t hesitate to share it with us! What a magical art photography can bring! Thank you for this post Sarah!